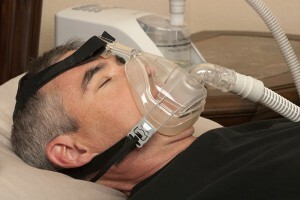 People with sleep apnea stop breathing repetitively throughout the night during episodes of snoring. It is a serious health hazard that can lead to high blood pressure, heart/lung disease or stroke. Patients with sleep apnea typically experience daytime sleepiness, severe snoring, morning headaches, and poor concentration. This condition is diagnosed with an overnight sleep study. Treatment options for this condition are weight loss, avoiding alcohol, nasal CPAP (continuous positive airway pressure), and surgery to remove the tonsils, and trim the soft palate and uvula.